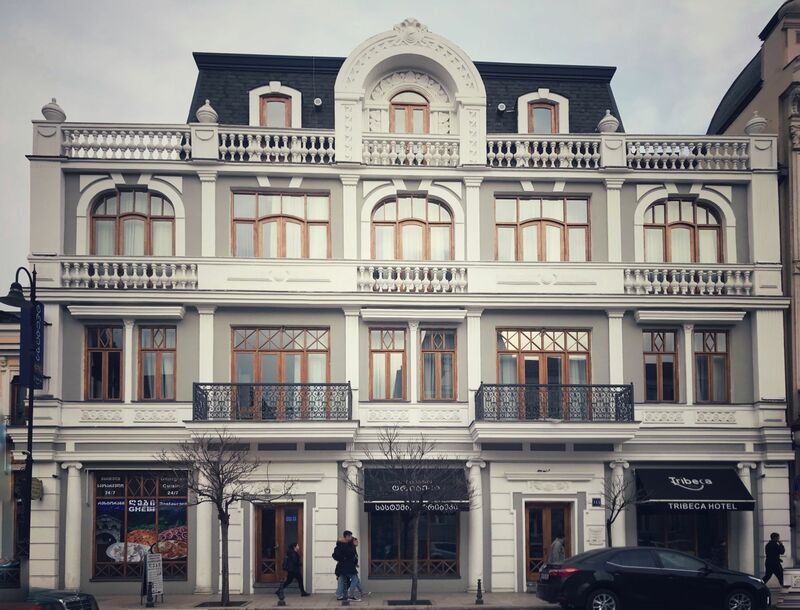 Tribeca Hotel is located in the city centre on Agmashenebeli Avenue, one of the most striking streets in Tbilisi that closely resembles a European boulevard. Along this avenue - there is enough to keep you, your family and friends entertained for days – one can find parks, theatres and museums, as well as plenty of restaurants, cafes and curio shops. Tribeca Hotel is named after a neighbourhood in Lower Manhattan, New York city. The name is a syllabic abbreviation of “Triangle Below Canal Street”. This area began as a farmland, became residential in the early 19th century, then transitioned into a commercial quarter producing dry goods and textile, before being colonized by artists, actors, dancers, models, entrepreneurs, restaurants and theatres. A fitting name, especially considering where in Tbilisi the hotel is located. The hotel building itself was built in accordance with the design drafted in 1872 by a local German architect, Herr Albert Salzmann. The hotel offers a total of 38 rooms that are split into Comfort and Deluxe classes, with comfortable box-spring beds, air conditioning, flat-screen TV and bathrooms. It is possible to combine two Comfort rooms into a Family room via interconnecting doors. The cozy hotel lobby is inspired by the Manhattan Tribeca neighbourhood, with a refreshment corner for hotel guests and a wine parlour. Elevator and stairs provide access to rooms as well as a traditional Georgian restaurant (open 24/7) in the basement. On the 3rd floor you will find the Saperavi Club, complete with cozy terraces on all sides. Professional staff serves excellent food and there is a great choice of outstanding wines from the Kindzmarauli winery, which is located in Georgia’s famous Kakheti wine region. Kindzmarauli is one of the most famous winemakers in Georgia, making use of both European and traditional Georgian methods. The hotel team is very motivated to make your stay unforgettable and the reception crew (selected for their natural smiles) is always ready to read your wishes and show excellence in hospitality. They can advise you on available restaurants in the neighbourhood, sightseeing trips and shopping opportunities. Airport transfers, taxi services, theatre tickets and restaurant reservations will be taken care of upon request. 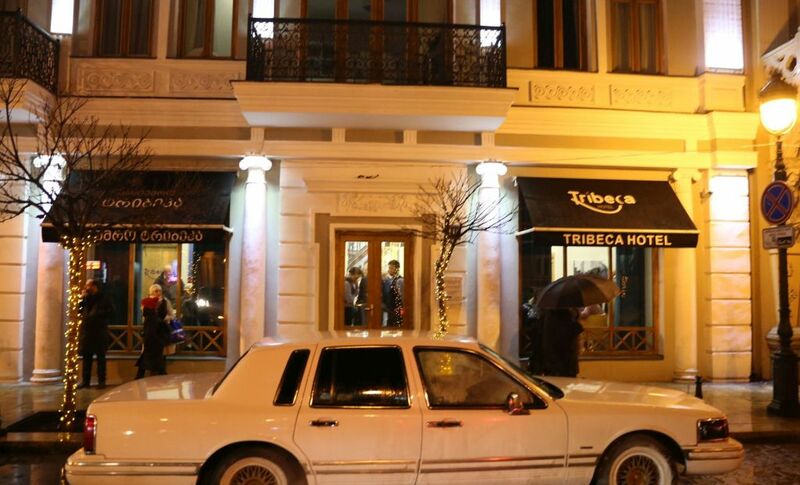 Tribeca Hotel is the perfect place to stay while in Tbilisi. Feel @ Home at Tribeca Hotel!